Robert Fischer is an attorney living and working in Denver, Colorado. He is currently working at a full-service real estate law firm. However, Robert previously worked for several years as the principle attorney in the foreclosure department at a law firm specializing in community association matters. Robert has extensive knowledge about the foreclosure process, which allows individual investors to buy properties at a discount and then sell them for a profit. Robert has several tips and pieces of advice for individuals who are interested in getting involved with buying and flipping foreclosure properties. The most important thing to understand is that different locations have different rules and this article only briefly discusses this topic. Can Money Really Be Made by Buying and Selling Foreclosure Properties? Yes, it is definitely possible to make money buying and selling properties that have fallen into foreclosure. However, it's not as easy as it sounds. Buying a home, for example, which is in foreclosure, seems like a great opportunity because it may be available for tens of thousands - possibly even hundreds of thousands - of dollars less than the fair market value of the property. A person interested in buying a foreclosures property must usually purchase it at an auction, bidding on the property against other investors - without completely knowing the condition of the property. Basically, it's possible to buy a property that looks good on the outside but is a complete wreck on the inside. How is a Foreclosure Property Purchased? Foreclosure properties are usually auctioned on a specific dates and they start with a minimum bid of the amount owed to the bank. If there is more than one pre-qualified party interested in purchasing the property, the price will be increased by a bidding war and the high bidder will win. The high bidder must then tender cash or wire funds the same day. 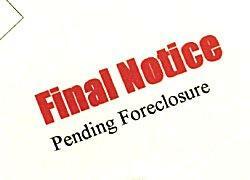 Can a Foreclosure Property be Financed? Some lenders do extend loans for the sole purpose of purchasing a foreclosure property, and others do not. If financing is going to be needed, it's a good idea to look into financing options well before attempting to purchase a foreclosure property. Is Financing a Foreclosure Property the Same as a Home Mortgage? It depends. Different lenders will offer different options to an investor who wants to purchase a foreclosure property. Whether or not a loan will be offered and the loan's interest rate may be influenced by whether or not the property will be used for a primary residence or purchased as an investment and hopefully sold for a profit. Finding a lender that is extremely knowledgeable about the foreclosure process is essential for a beginning investor so that risks can be reduced and mistakes can be avoided. Can the Buyer of a Foreclosure Property Take Over the Old Mortgage? It's important to remember that when purchasing a property in foreclosure, the investor is really buying the deed which secured a defaulted promise to pay the bank. Buying a foreclosure property is not simply taking over an old mortgage. 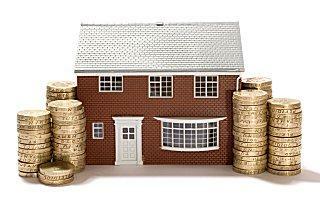 However, an investor can explore the option of taking over mortgage payments of a delinquent loan. Mortgages usually include a "Due on Sale" clause, and the lender would have to approve the investor's assumption of the obligation. Investors are often reluctant to do this because the lender may be able to command a higher interest rate than the amount charged on the original loan. Is There a Good Time to Get into This Business? The answer to this question is, Yes and No. When the economy is bad, it's normally a good time to buy foreclosure properties because there is usually a multitude of them available. However, buying a bunch of properties and then turning around and selling them during a buyer's market isn't easy. During good economic times, there are usually fewer foreclosure properties available, so auctions may be more competitive. Is Buying and Selling Foreclosure Properties A Good Way to Get Rich? It can be, but the only people who are successful in this business are those who are one hundred percent knowledgeable about the process, those who are extremely professional about this business, those who make intelligent buying decisions, those who do their research about good vs. bad neighborhoods, those who are able to handle temporary disappointments and move on, and those who are willing to dedicate lots of time and money to be successful - this is not a part-time job.